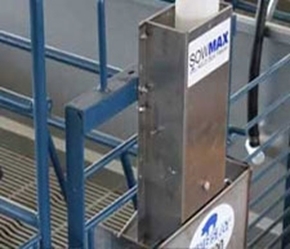 The Hog Slat Evaporative System cools incoming air to reduce heat stress in broiler houses. Adapts to a wide range of building layouts and ventilation systems. 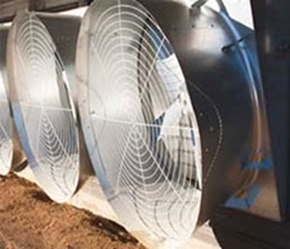 The ideal fan for remodeling or adding extra CFMs to increase wind speed in your houses. 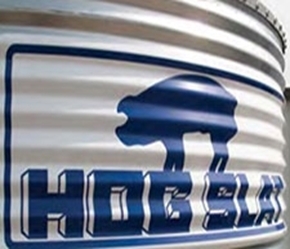 Grower Select® is an exclusive brand of Hog Slat Inc and Georgia Poultry designed to bring EXCEPTIONAL VALUE to our customers. The GrowerSELECT® Classic Flood poultry feed pan is an improved version of an industry staple. Classic Flood feeders are constructed of UV stabilized polypropylene without the use of CADMIUM or LEAD. GrowerSELECT® adult turkey feeders are designed with useful features and built to last in turkey grow-out barns with large birds. GRO Series Brooder heaters are designed to provide infrared heat in swine and poultry houses the same way the sun heats our earth.